To make Rosemary Simple Syrup: Add 1/4 cup of water and 1/4 cup sugar to a pot. Add rosemary. Bring to a simmer and cook until all sugar is dissolved, about 3 minutes. Strain into a small resealable container. Let cool completely. To make the drink: Pour grapefruit juice and simple syrup in a Tom Collins glass. Stir to mix. Fill glass with ice and top off with seltzer water. 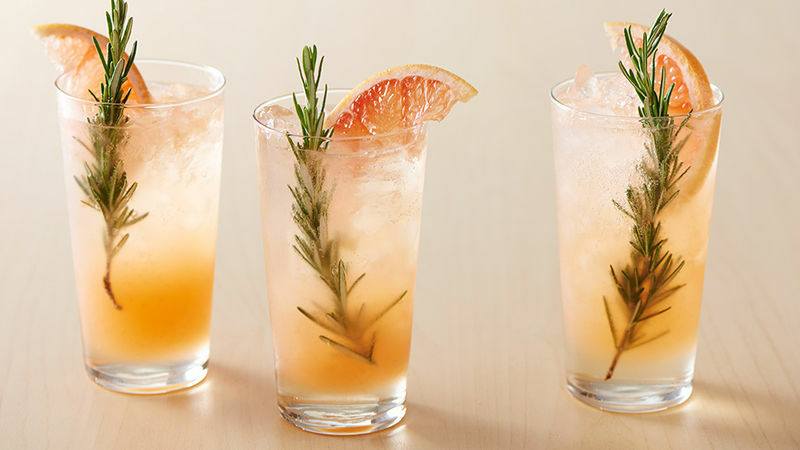 Garnish with a sprig of rosemary and a slice of grapefruit. For a grownup version, a shot of tequila added to the grapefruit juice and simple soda is divine.